First-ever, Google Android 3.0 “Honeycomb” Operating System powered tablet, Motorola Xoom, is being eyed to receive an update as to make it compatible with Verizon’s 4G LTE network. In order to make the update compatible on the Motorola Xoom tablet, users might need to send their devices to Motorola, in order to make slight changes to the hardware, whereas a firmware installation would also be required. Motorola would require a six day process on the tablet, in order to make it capable of providing users with a better data transfer experience. Moreover, rumors suggest that Motorola might not update those devices which have already been unlocked or rooted, which means those tablets would be put them to a rest. 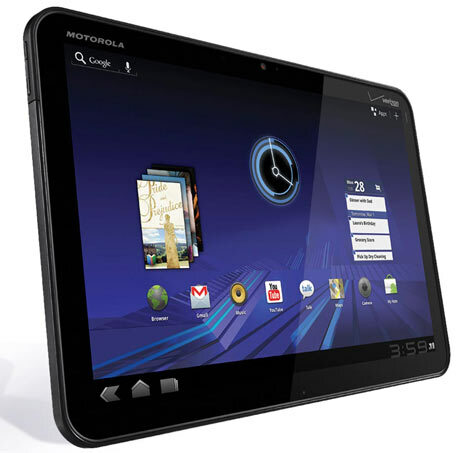 All Motorola XOOM tablets on the Verizon Wireless network are eligible to receive an upgrade to support 4G LTE. This includes those that have been unlocked; however, those units must be submitted for upgrade with the original factory software reinstalled and the device relocked in order to receive the upgrade. According to the above note, those devices which have been rooted would not be left out of this update, though Motorola does not guarantee that the update process would actually be completed. For devices that are returned unlocked, Motorola will attempt to complete the upgrade, but may be unable to update the software. In these cases, the device will be returned to the consumer with just the 4G LTE modem installed.